Surely beauty lies in the eye of the beholder. Frankly, I couldn’t be more thankful for that. I know there will be some that scoff at my definition of beauty, but alas we must acknowledge that tastes vary, even changing from year to year, and that no two people will like, in equal measure, what the other finds appealing. Pas de probleme. Me, I find that I’ve maintained a steadfast love for French Architecture and furnishings, and equal adoration for mid-century modern design. Paired, these two create an adoration that makes my heart nearly burst. The French are masters at introducing mid-century modern against a backdrop of stunning architectural detail – the juxtaposition of old world elegance and excess, paired with the restrained simplicity, and clean lines associated with the 1950’s and 60’s. 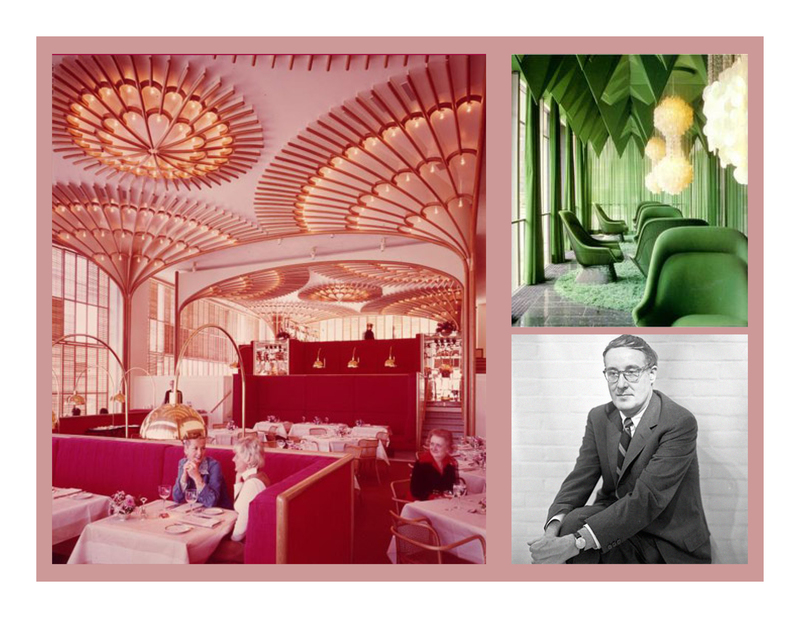 Warren Platner, an American born Architect and Interior Designer began his illustrious career working for the likes of Raymond Loewy (an Industrial Designer), I.M. Pei (JFK Library, John Hancock, the Pyramid at The Louvre, Paris), and later Eero Saarinen, bestowed the lofty title of Neofuturist. This rich introduction into the world of Architecture and Design informed his style, solidifying his aesthetic, and making way for the iconic design he would call his own. 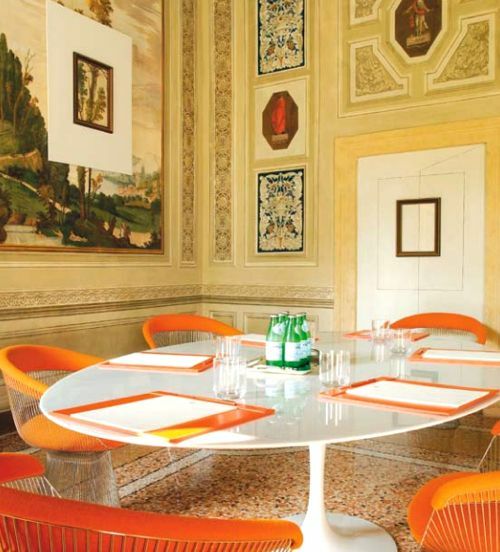 In 1966 he launched his collection of chairs, ottomans, and tables that were to be produced by Knoll. The collection was a exercise in precision and sculptural elegance. Each piece resting on a base, comprised of hundreds of rods, in the case of an ottoman, thousands for the chairs, all individually welded to resemble a shimmering sheath of wheat. Knoll has continuously manufactured these pieces since their unveiling – to his exact specifications, though some have been dropped from production, and later been brought back. It is on this happy occasion that I write to report they have reintroduced, after many decades, the sculptural base in gold. Yes, it’s true, previously available only in Europe, they are now available in the states. I’m practically beside myself with the excitement of it all. I will place my order directly after I visit Paris in early October. I want to be certain that something I see there will not inspire me to take an alternative path (that is to say in terms of the fabric color I select). One must stay open, but I am most certain that I will not change my mind about the chair itself. I will pair the dining chairs with an oval Saarinen table, bringing together two masters of modern design again, in my new home. 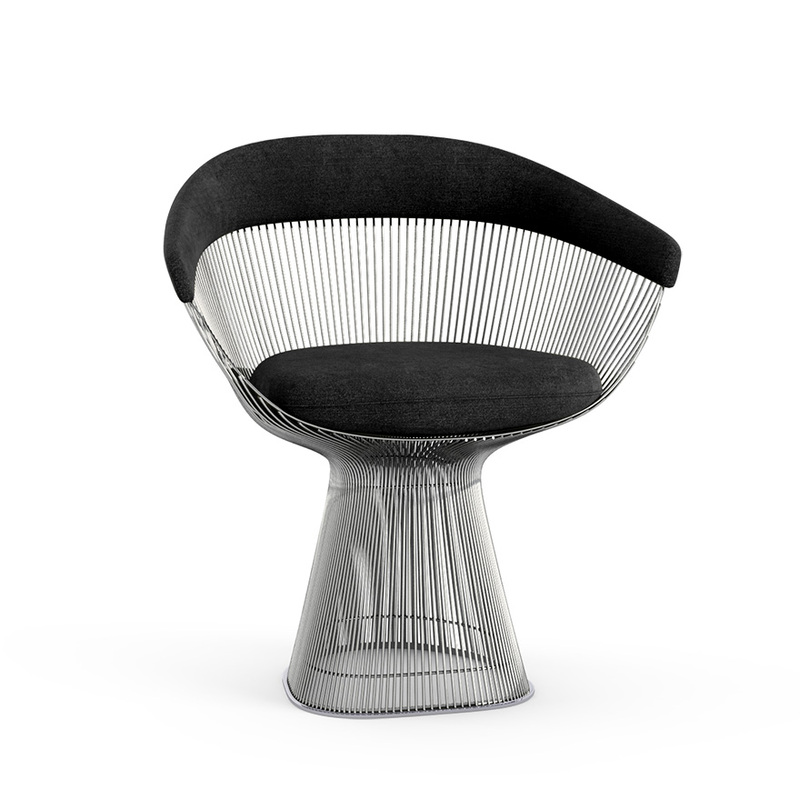 Platner defined a classic saying: “something that every time you look at it, you accept it as it is and see no way of improving it”. I can find no better definition, and though Paris was my first love, I am willing to let that lucky person that sees no need for improving me, and I him, be my last.